HEAT-2X was originally scheduled for launch in August or September 2014. 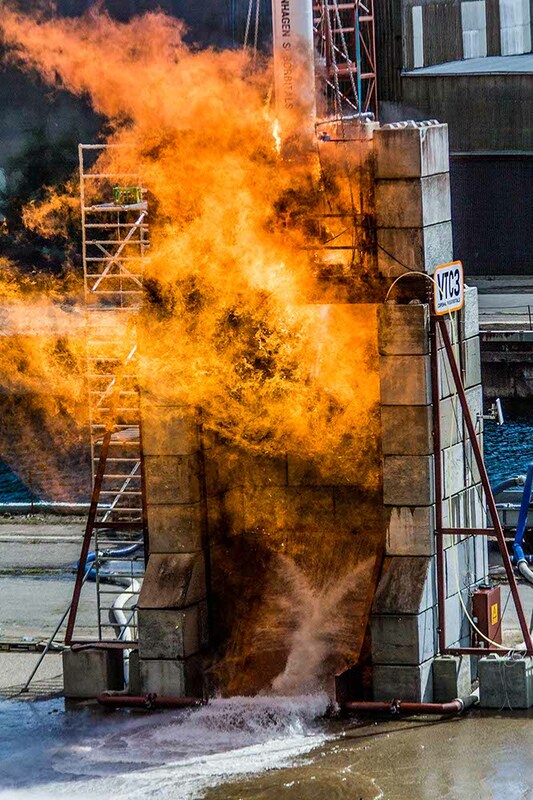 Sadly, during the full up static test of the engine the cooling jacket ruptured, fuel flooded the test stand and engulfed the entire engine section in flames. The damage was beyond repair and HEAT-2X and its engine was retired to the CS museum. In the following you can read about the original plans and the sad demise of HEAT-2X. On the outside HEAT-2X looked much like its predecessor, HEAT-1X, but it was built upon completely different technology, and was a significantly more advanced rocket. Most importantly, it was the first CS rocket potentially capable of flying above the Kármán line (100 km) in a suborbital trajectory to space! 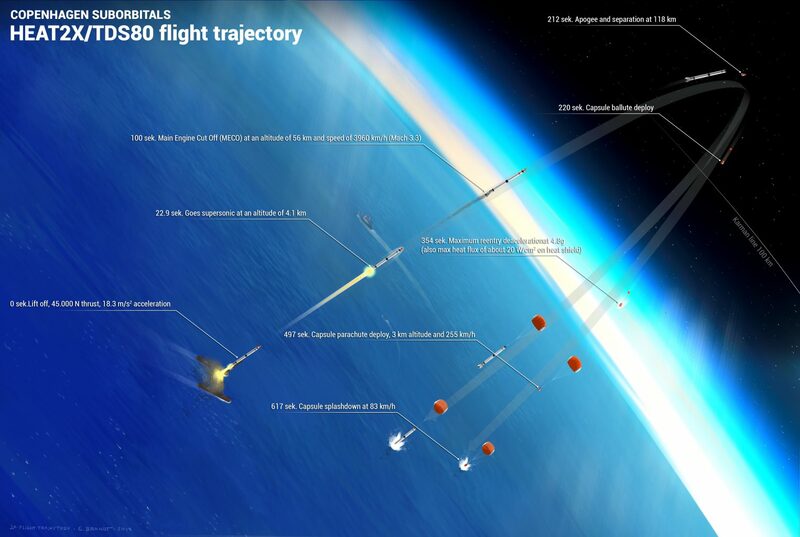 HEAT-2X would carry the 80 kg heavy TDS80 spacecraft to an apogee of about 100 km. The HEAT-2X/TDS80 mission were to serve as a technology demonstrator for several key technologies that CS must master before reaching our ultimate goal of sending a man on a suborbital spaceflight. 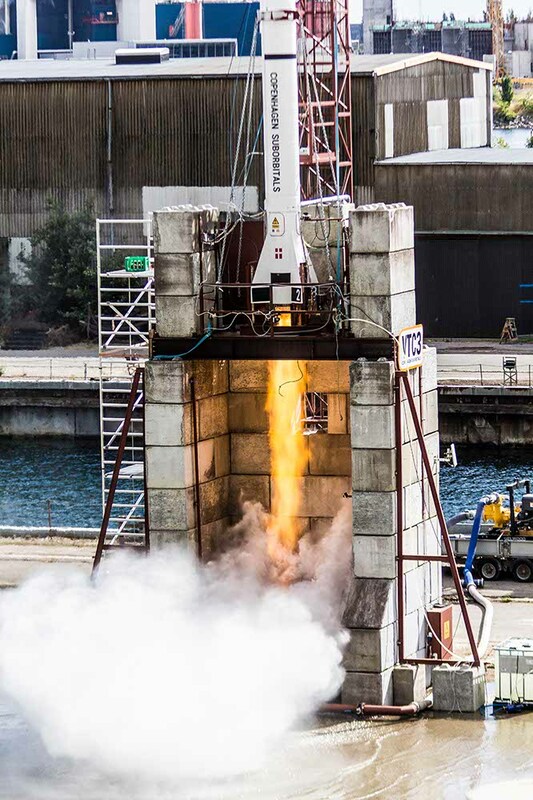 HEAT-2X was powered by the TM65LE engine providing 45,000 N thrust at lift off. The engine would burn for 100 seconds and consume 1,200 kg of propellant during flight! The HEAT-2X vehicle was built almost entirely in aluminum to minimize its mass. It had a projected lift off mass of 1,753 kg, of which 1,200 kg was propellant. It measured 65 cm in diameter, and stood 10.7 meters tall when fitted with the TDS80 prototype spacecraft. The main structure and components are shown in the figure below. TDS80 spacecraft: The spacecraft was equipped with its own radio and inertial navigation systems, such that vital data could constantly be transmitted back to mission control. It was also equipped with a heat shield for suborbital reentry and parachute system, enabling it to make a soft landing. Booster recovery: Directly beneath the spacecraft was the booster recovery ring. It contained a drogue and a parachute, enabling the booster to make a controlled landing at sea. Guidance and instrumentation ring: Electronics and instrumentation was beneath the recovery section. This part housed radio systems for data and video feed to mission control, batteries, antennas, Autonomous Abort Unit, Guidance and Navigation Computer, and a few other electronic systems. Propellant tanks: Liquid oxygen and ethanol was stored in separate tanks, each with a volume of 1,000 liter. The propellant tanks would only be filled to 65% of their volume; the remaining 35% would be pressurized gas which provides the force necessary for feeding the propellants into the engine. The propellant tanks were welded from 6 mm aluminum sheets to provide structural strength to cope with the high pressure. Engine: The TM65LE engine was a regeneratively cooled bi-propellant rocket engine designed to operate at 12 bar. The GNC was based on an Analog Devices ADIS16448 inertial sensor. The sensor output is integrated over time, such that the GNC at all times knows the position and velocity vector of the vehicle. If a correction is necessary, the correct response is calculated and passed on to the Thrust Vector Control system. The TVC system is commanded by the GNC to carry out trajectory corrections. The main part of the TVC unit is a set of jet vanes positioned partially in the exhaust of the rocket engine. They are used to deflect part of the exhaust and thereby change the thrust vector and trajectory. This technology was successfully used for the first time by CS during the Sapphire flight on June 23rd 2013. The AAU is a safety system designed to prevent the vehicle from leaving the closed off naval shooting terrain in an uncontrolled manner. It is a stand-alone system that monitors key flight parameters. If any of these parameters surpasses a predefined value, the AAU will command a mission abort. 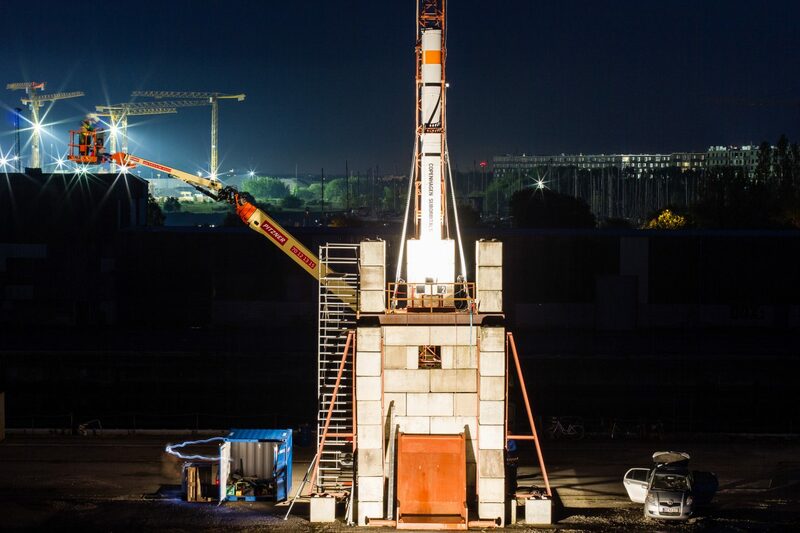 The static test was conducted on August 16 2014. After two dry run rehearsals the previous days all procedures went very well and around 3 pm we were ready to fire the engine. At T-4 sec the pre-stage valves opened and pre-stage seemed nominal so the Engine Controller continued to open the main valves and go for main-stage at T-0. As the main valves opened the engine went into main-stage but after just a little more than a second the cooling jacket of the engine ruptured and spilled the entire fuel load in a few seconds which engulfed the platform and engine in flames. The entire engine section was significantly damaged by this fire and the engine has now been retired to the CS museum. Post-test inspections revealed that a couple of poor weld joins had ruptured due to the high pressure in the cooling jacket. This caused the cooling jacket to tear open and spill all of the fuel in a few seconds.